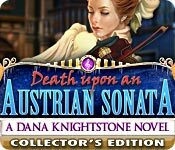 Death Upon an Austrian Sonata: A Dana Knightstone Novel Collector's Edition is rated 4.3 out of 5 by 75. Rated 5 out of 5 by pennmom36 from Haunting Run In The Family Dana Knightstone thought she was the only one with the ability to see ghosts until a distant cousin, Sebastian Knightstone contacted her about his own experience with a troubled ghost. Sebastian has been ill for quite some time, his weakness has prompted him to retire as a famous musician. A fellow musician named Elise has been trying desperately to contact him from beyond, causing him to have repetitive dreams about her trying to hide her composed music before being murdered. What does this beautiful composer want to tell us about her murderer? The graphics are really good and every scene is packed full of inventory items to pick up and use, locks to tinker with and a ton of mini games so boredom isn't a factor here. 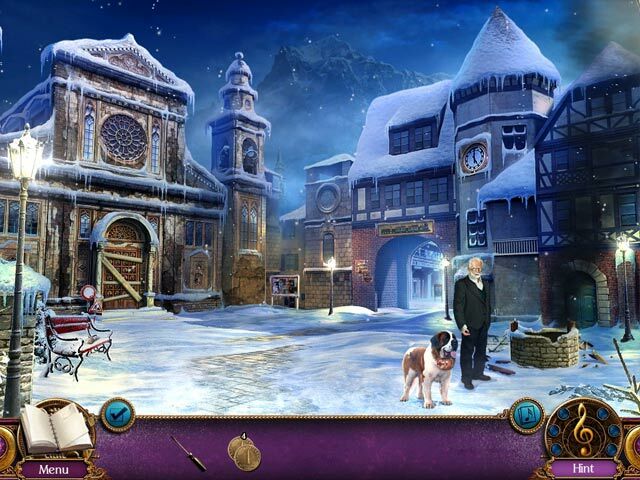 The Hidden Object Scenes are very interactive, most have clues to uncover in order to open up locks and cabinets and they also have a zoomed in area to scavenge for additional objects. There are a ton of mini games such as placing torn paper fragments in the correct position according to clues given, rotating discs until they line up and then using those completed clues to figure out what stages fuses should be set at, red, green or completely turned off. The Collectors Edition has Concept Art, Wallpapers, Cutscenes, a built in Strategy Guide and a Bonus Chapter, enjoy! Rated 5 out of 5 by Rococo315 from Love the series!!! I always love hidden object games! Love the series of Dana knightstone!! Characters ,music and scenes are always gorgeous! Rated 5 out of 5 by thatfewgirl from Amazing Game! Super fun- Interesting, entertaining, fun... It wasn't creepy or scary, and the characters and the storyline were FANTASTIC!!! I really cannot press how perfect this game is. It is the best of the Dana Knightstone Novel games. Rated 5 out of 5 by gamefan10 from Excellent game I thought this was a very interesting and well-written game. 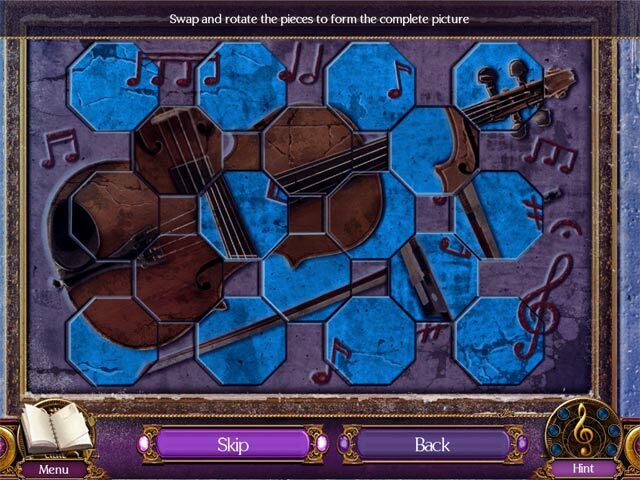 You are trying to solve an old mystery about what happened to a beautiful violinist. She comes back as a ghost to help you at times. 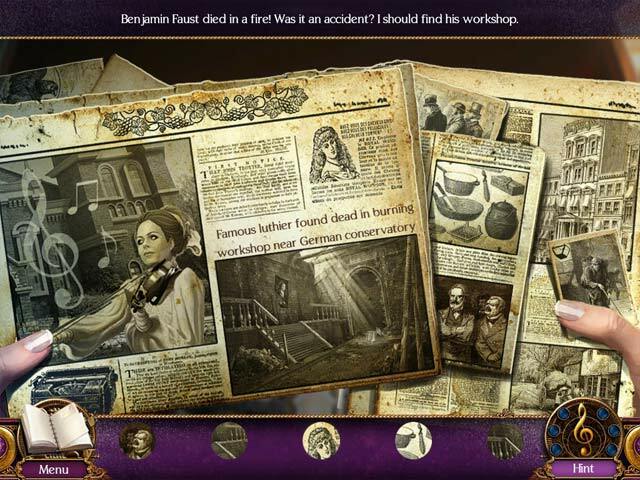 There are several chapters, and for each you are in a beautiful setting, and you must find helpful objects, solve hidden object scenes, play mini-games, and backtrack in order to use some of your found objects. Since this is the Collector's Edition, you are also trying to get various achievement awards. You should look at this list ahead of time so that you have some idea of activities you should do in order to win the various achievements. If you get stuck you can also look at the strategy guide that comes with the Collector's Edition game. I thought the art work and the sound were both beautifully done. The mini games ranged from very easy to medium-difficult. There is a skip button if needed for the games. I really liked this game and would definitely recommend it. Rated 5 out of 5 by luna_7123 from Lovely casual game! I f you are looking for something to take your time and , also has wonderful graphics this is the game for you! The Dana Knightstone series is my favorite on Big fish! I Have bought every single one. Rated 5 out of 5 by Wandakal1 from Great story & graphics, enjoyable hos & puzzles All the Dana Knightstone stories are interesting stories and good solid hos and puzzles. Rated 5 out of 5 by hibc60 from once again Dana Knightstone does not dissapoint can't help but love these. I actually bought and needed the CE - it was very helpful although the hint is good so not absolutely necessary. I don't use sound so can't rate that but over all a good story like usual. finding is reasonable not rediculously hard or complicated. you help save someone. I enjoyed the game. Rated 5 out of 5 by Jem_Jerrica_Guy from A story come complete I really liked this ghost story though it's different with real people vs. monsters in other adventures. The graphics are not Boom Zap's highest quality, but it may be the preferred style of this particular team. Rated 5 out of 5 by catdroid from AWESOME AND AWESOME AGAIN !!!! This is a beautiful game with hauntingly beautiful graphics, music and storyline. Long playing time. Many different locations. Fun puzzles (and I'm not a puzzle person). Great HO'S that were interactive and varied and NOT teeny tiny. Kudos to Boom Zap for a wonderful game.